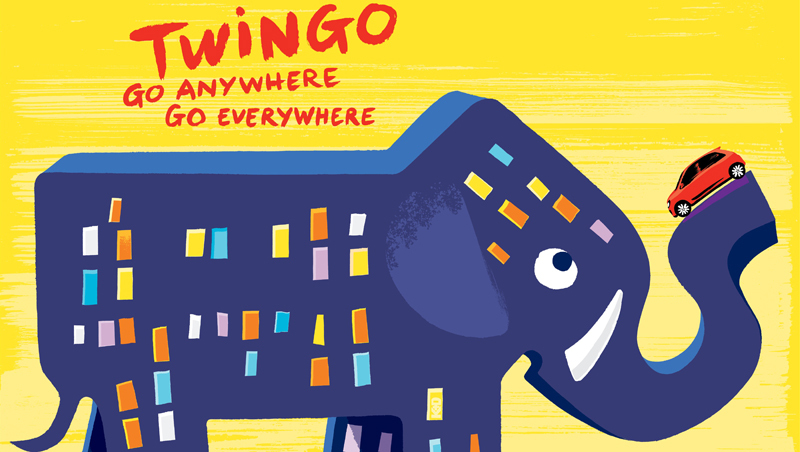 Nothing is impossible for Twingo. It can ride on an elephant, zigzag through a row of handbags or get into a pair of shoes…. Or at least it can in the fantastic world created by visual artists Kuntzel and Deygas for its latest advertising campaign. 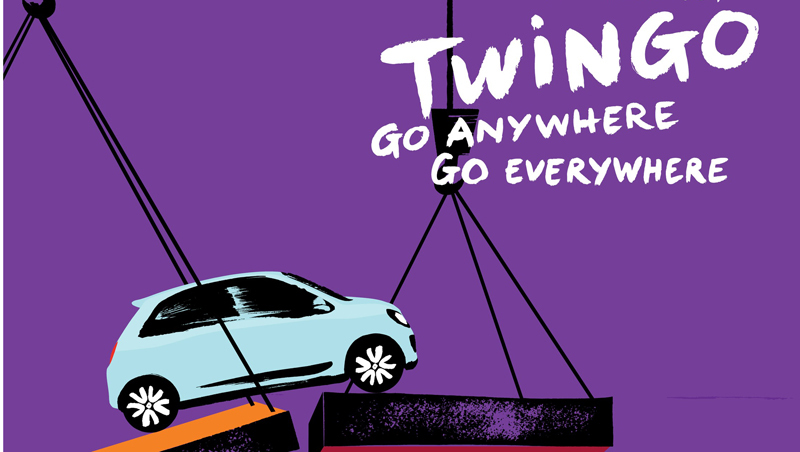 Celebrated for the opening credits of the Steven Spielberg film “Catch Me If you Can”, and the latest “Little Black Dress” campaign by Guerlain, the duo have now placed their talents at the service of New Twingo, inventing a graphic style made to measure for this city car. 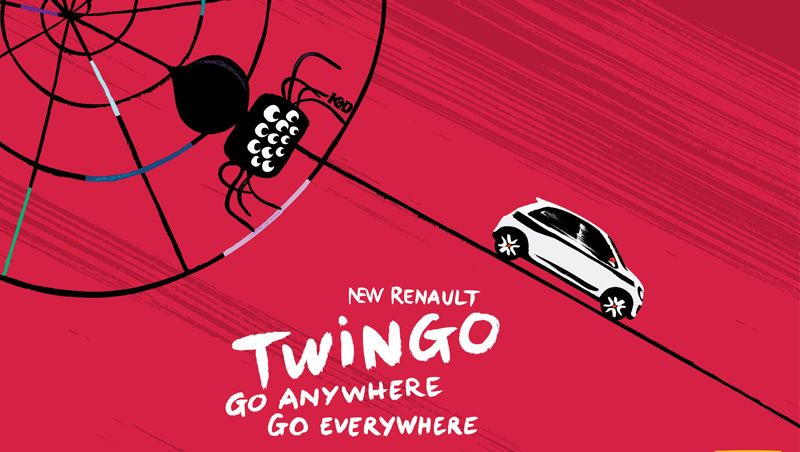 Twingo becomes the heroine of a colourful urban adventure, which we will leave you to discover for yourself!